Provide comfort for the family of Diane Sandell with a meaningful gesture of sympathy. Mrs. Diane Jarvis Sandell formerly of Carolando Drive, passed away Sunday, February 24, 2019 at Pruitt Health Town Center in Harrisburg, NC. Diane was born February 25, 1937 in Baltimore, MD to the late David and Bessie Lane Jarvis. She is also preceded in death by husband James A. Sandell, Jr., and two siblings. Diane was a homemaker. Diane is survived by daughters, Kimberly Fife and husband Jon of Concord, and Kathy Hudson and husband Jim of Sparks, NV; son, Mark Sandell and wife Dorie of Orange, CA; grandchildren, Brittney Sandell, Patrick Hudson, Rebecca Justino and husband Leo, Kevin Fife and wife Mary Willis, and Jimmy Fife; and great grandchild Alban Fife. 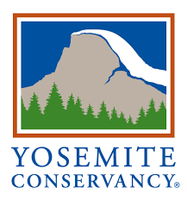 Memorials may be made to Yosemite Conservancy, 101 Montgomery St, Ste 1700, San Francisco, CA 94104. Wilkinson Funeral Home is assisting the Sandell family. To send flowers in memory of Diane Jarvis Sandell, please visit our Heartfelt Sympathies Store. Provide comfort for the family of Diane Jarvis Sandell by sending flowers. I'm sorry for your loss may you find comfort in Jehovah's pro, mise at John 5:28,29, for more info jw.org.